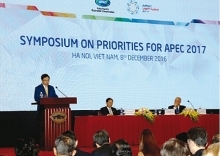 (VEN) - Development opportunities for the automotive sector among the 21-nation Asia-Pacific Economic Cooperation forum (APEC) are huge. However, a big development gap between APEC member economies is hindering the region’s automotive sector from transferring technology and promoting linkages. Therefore, APEC should give priority to assisting developing economies in boosting the automotive sector. This was the gist of the Automotive Dialogue held in Hanoi on May 11 within the framework of the second Senior Officials’ Meeting (SOM2) as part of the APEC Vietnam 2017 activities. According to the Ministry of Industry and Trade, the automotive sector plays an important role in APEC member economies, manufacturing 60 million vehicles per year and directly employing four million workers. In addition, the sector has contributed to training skilled workers and promoting the development of other industries such as metallurgy, engineering, electronics, automation and support industries. The Vietnamese automotive sector has attracted the participation and investment of domestic and foreign businesses in recent years. 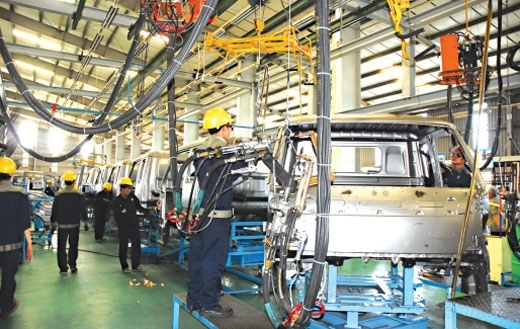 Vietnamese automakers currently turn out around 500,000 units a year, create direct jobs for around 80,000 workers, and contribute about US$1 billion a year to the state budget. In particular, the local automotive sector contributed nearly three percent to the country’s gross domestic product (GDP) in 2016. According to the Ministry of Industry and Trade, to help the automotive sector develop, APEC member economies need to adopt new mechanisms and policies and create favorable conditions for investment activities. 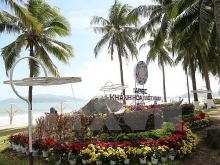 “Given the fourth industrial revolution, to increase competitiveness towards sustainable development APEC member economies should consider and focus on improving the business environment as well as strengthening cooperation in the automotive sector,” Do Thang Hai said.